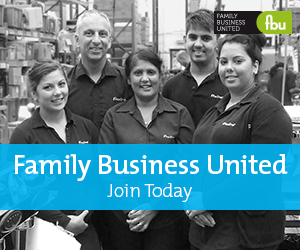 With some many family businesses in the North West, Family Business United is delighted to be supporting the North West Hospitality & Business Show, 2019. The organisers of the 2019 North West Hospitality & Business Show are working will several agencies to promote the show to as wide an audience as possible, with over 100 exhibitors from across the spectrum of the hospitality and business sectors, and visited by customers from the whole of the North West area. The show will run over the 2 days of the 27th & 28th February 2019 at the J36 Auction Centre in Crooklands, just off the M6. The fantastic new conference hall is the perfect location for the show, with 1,000 square metres of floor space downstairs, and meeting rooms on the new mezzanine floor above reception and there are over 750 free car parking spaces available, along with easy access from the M6 and A65 from the East.